In the last few days the same theme – empathy and compassion – has kept on cropping up in conversations. The brilliant Robert Holden invited me to a day’s training, with Sharon Salzberg, which turned out to be completely focused on Loving Kindness and compassion: next I was writing a section of my latest book, focusing on how we need to be deeply compassionate to ourselves as a starting point for having a great life; and then in an interview on the subject of ‘a Life You Love’ with Times journalist Patrick Strudwick the conversation unexpectedly veered straight into compassion again. On Sharon’s course I was once again reminded that these core concepts are so ancient and yet still relatively unused by most of us – so, time for some action. Spend a few moments being nice to yourself – science backs this up as a good thing to do, being in nicer to yourself will increase your happiness and add on average an extra ten healthy years onto your life. 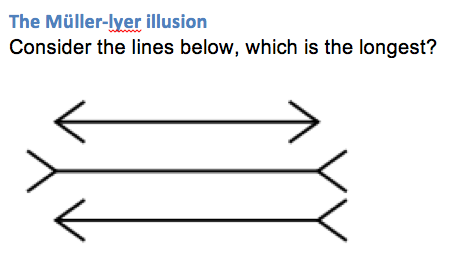 The simplest way to do this is to tell yourself that you love yourself. Although these are simple enough words, for many people they are the most difficult words to say authentically. If this applies to you, just practice saying ‘I like myself’ until you feel ready to move to the ‘I love myself’ phrase. 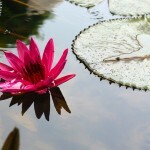 Without being kind to yourself it’s difficult to bring empathy and compassion into the rest of the world. Get The life You Love NOW. In this segment I’m looking at the nature of reality, and how our brain is so easily fooled by what it thinks it sees..
Count the black dots you can see at the intersections of the grey lines. 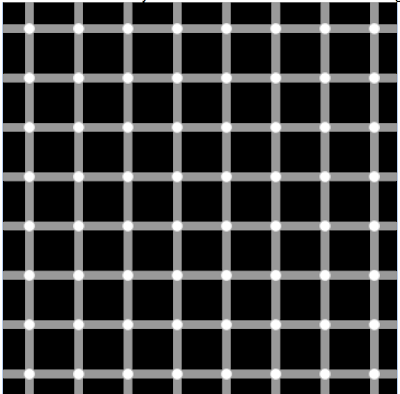 Most people find they can’t count the black dots because as soon as a look at them they turn white. 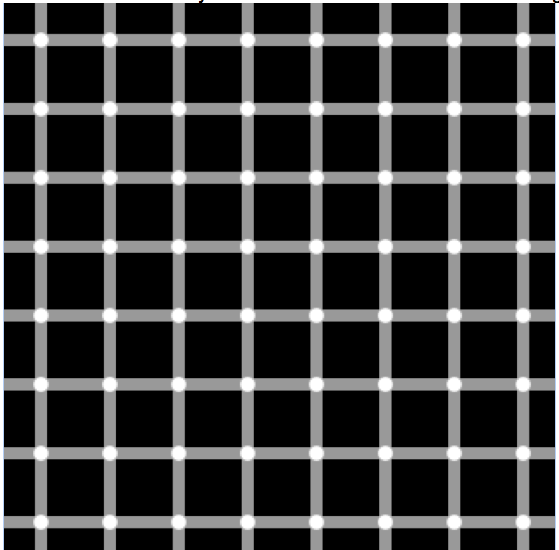 Some people find they can’t even see black dots as they change to white so quickly.